Bombardier’s success with the CRJ 100/200 airplanes, which eventually sold 935 units, made it explore significantly larger capacity airplanes, in the 100 seat segment. According to Bombardier’s study in 1998, there was a growing requirement for larger aircraft in the fleets of the world’s regional airlines. To keep up with the growth in mainline fleets, Bombardier felt that regional fleet must grow in both size and capacity. The company felt that if the regional fleet did not grown beyond 50 seats, the number of 50-seaters required to satisfy demand would quadruple. 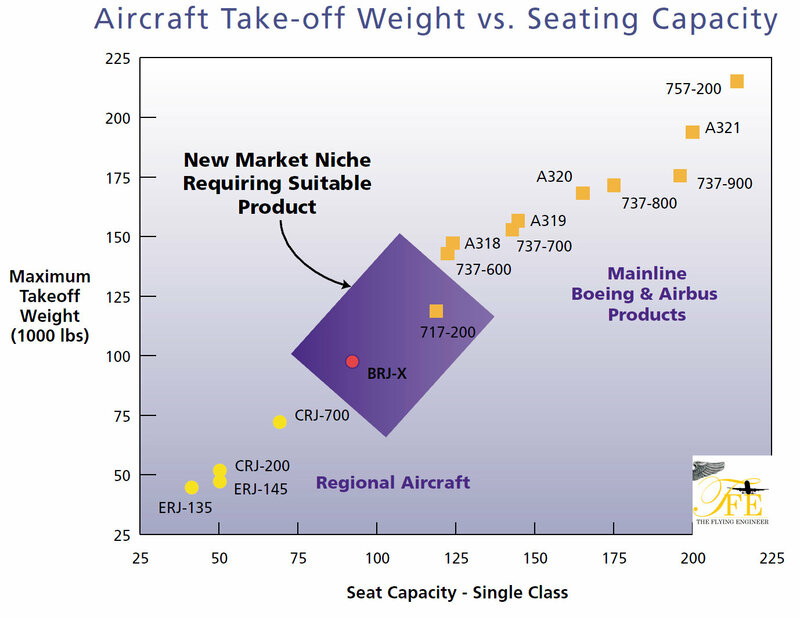 Bombardier identified a gap between its 50-70 seat CRJ series, and the smallest of the Airbus and Boeing single aisle offering: the Airbus A318 and the Being 737-600, both with typical single class capacity of around 120 passengers. Even before a formal launch, Bombardier had unveiled during the Farnborough Air show in 1998 the 88 seat BRJ-X-90 and the 110 seat BRJ-X-110, the “BRJ” short for Bombardier Regional Jet. The BRJ-X-110 was applauded by airlines as a true 100 seat airplane, unlike attempts by Airbus and Boeing to scale down much larger airplanes. 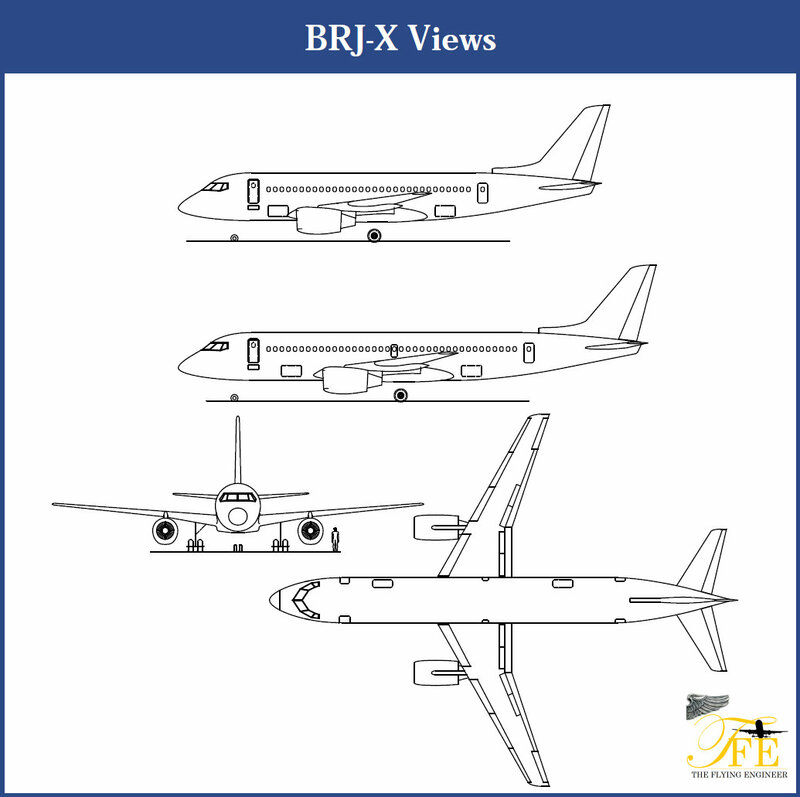 Although during that time, the first of the Brazilian Embraer E-Jets, the 80 seat ERJ 170, competitor to the CRJ700, hadn’t yet taken to the skies, published drawings of the BRJ-X airplanes bore an external resemblance to the new Embraer jets. But the cabin was wider, with a 5 abreast seating. Mid 2000, although the BRJ-X-90 was killed, the entire BRJ program was suspended, but never cancelled. In the March of 2004, the 114 seat Embraer 190 took to the skies on its first flight, and Bombardier had no airplane to compete in that class. In July of the same year, Bombardier announced the development of the C Series as a replacement for the shelved BRJ-X project. The C Series then had two variants: the 125 seat CS110 and the 145 seat CS130. But after failing to secure significant orders, and in the light of the certification of the Embraer 190 in 2005, the program was shelved in early 2006, and the focus again shifted to lengthening the CRJ series, to a 100 seat CRJ1000. In the July of 2006, EASA certified the 124 passenger Embraer 195, competing directly with the shelved CS110. Bombardier was trailing its only significant regional jet competitor, Embraer, with no competing airplane. Early 2007, Bombardier re-commenced work on the C Series program. In the July of 2008, Bombardier officially launched the C Series, with a letter of interest for 60 aircraft and 30 options from Lufthansa. Having the right product at the right time bode well for the Brazilian airframer. The CRJ 700, 900 and 1000 combined have orders (as of 30 June 2013) of 723 airplanes, of which 91 are unfulfilled. On the other hand, the Brazilian Embraer E-Jets, comprising the E-170/175 and 190/195 families, have total firm orders of 1213, of which 266 are unfulfilled. Bombardier had to stop trailing and start leading, and focus on the clean sheet C Series was the only way out. *This section is part of a much bigger, comprehensive article on the C-Series by The Flying Engineer.